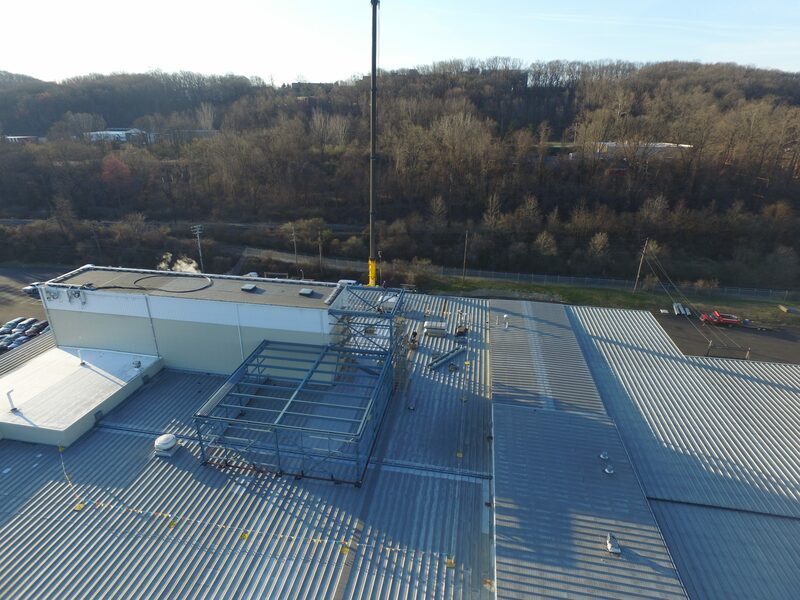 Infiana approached both GSM Industrial and GSM Roofing with their need to demo and remove an existing penthouse and build a new, larger penthouse addition to its manufacturing facility. This expansion would help them better respond to their growing customer demand with additional space and machinery. 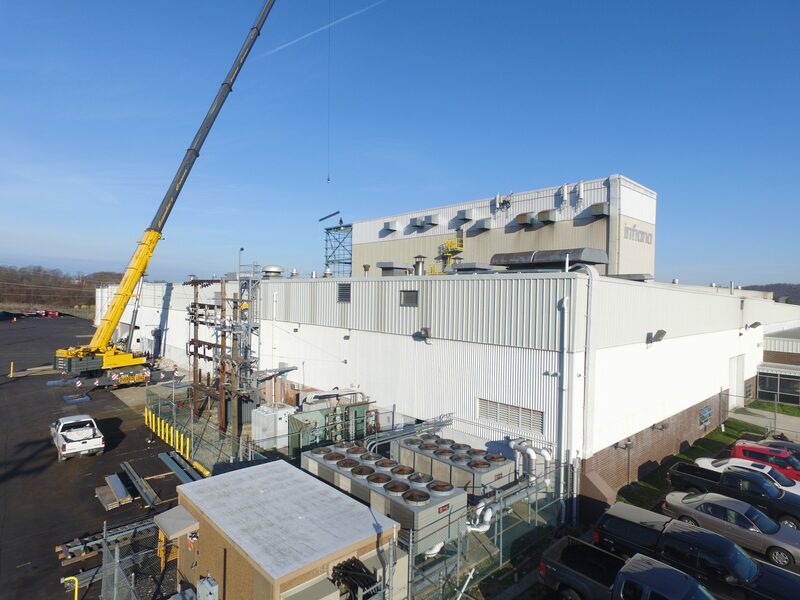 GSM Industrial served as the general contractor, while GSM Roofing served as a support. • Procure all construction permits. • Furnish and install a dust barrier to section the work area from other manufacturing areas so Infiana could continue generating product. • Design, fabricate, and install all structural steel and access work (caged ladders and platforms). • Complete the fabrication, blasting, and painting of the structural components and access work. • Furnish and install girts, 26-ga liner panels, 22-ga roof deck panels, a TPO roof system, necessary insulation, required blocking and flashing, gutters, and downspouts. • Provide and install wall penetrations for ventilation fans and commercial exhaust fans. • After extruder tower and raised roof section were weather tight, GSM provided demolition service to remove existing (prior) built-up roof section and its existing BUR roof system. • Provide all dumpster and removal services, scaffolding, man lifts, scissor lifts, and crane services required for the project. The Infiana project took only six months from start to finish. During this time Infiana remained operational as GSM Industrial and GSM Roofing worked around their operations to ensure their production needs were still met. 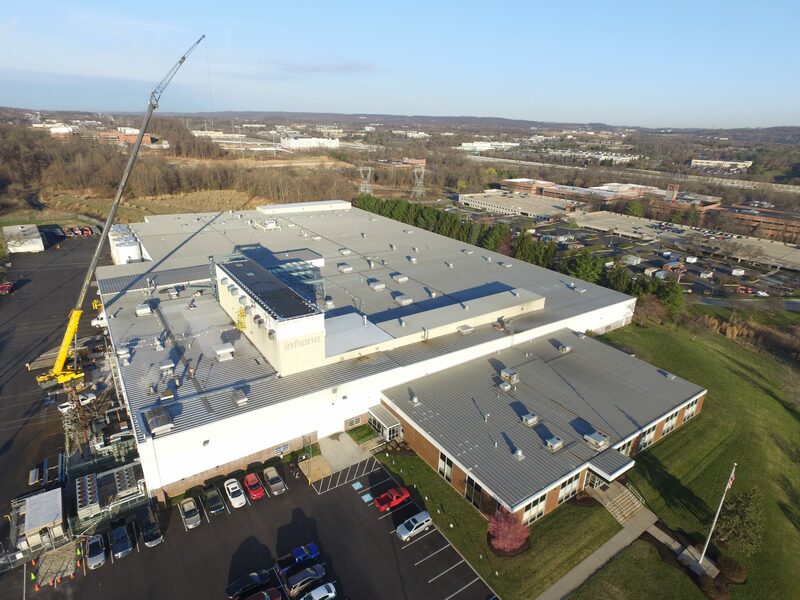 GSM Industrial, in partnership with GSM Roofing, was able to complete this complex project on time and on budget by having the right people, expertise and capabilities in-house. For example, installation was done by GSM Industrial’s field division, which currently has 27 field mechanics available for projects throughout the area. To get started on your next project, Contact Us with your details or call 717-207-8985.